This chapter first addresses the issue of the importance of intelligence in MAS-based DLEs. Then, it stresses that there are three main intelligent competencies in MAS-based DLEs: intelligent decision-making support, coordination and collaboration of the agents in MAS, and student modeling for personalization and adaptation in learning systems. 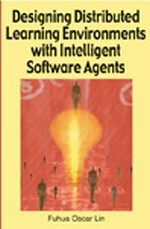 It also describes in detail how to apply relevant AI techniques, including the introduction of AI techniques and their state-of-the-art application in the e-learning domain. Finally, future trends in the research and development of intelligence for MAS-based DLEs are discussed.